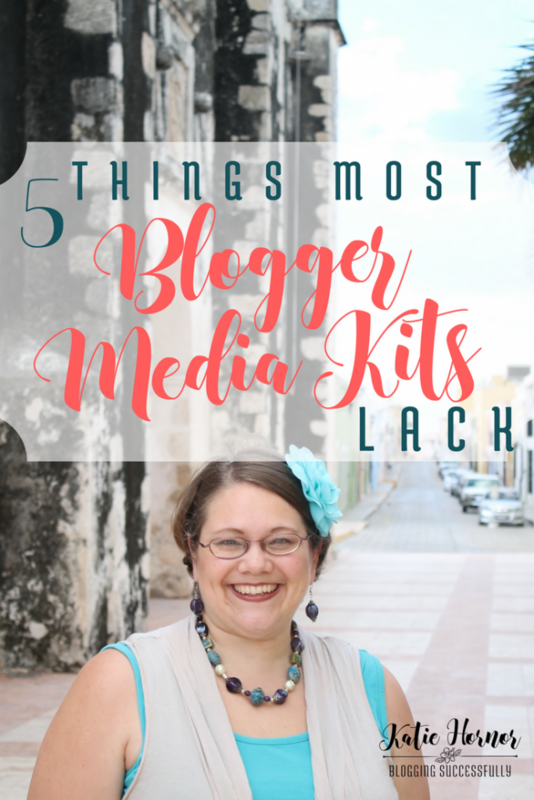 Many bloggers are afraid to put together a Media Kit, especially when they are first starting out. Comparison or seemingly small numbers may hold you back. Around here we preach you are #NeverTooSmall. It's somewhat of a bandwagon, I'll admit. But, in my opinion, you should never let those “less than” feelings keep you from pursuing the greatness you were created for, even in the arena of pitching brands you want to work with. And I'll explain more about each below, and give you a checklist to work from as well. For the purpose of this post, we will define a Blogger Media Kit as the webpage, or document(s) used to provide a business snapshot to a company you are pitching, or who is considering you for paid sponsored advertising. Not to be confused with Press Kits and Sponsor Decks, which I will cover in another post. A media kit is a page on your website, or a document where you include all the information that someone may want to know about your company. They use it to research information for their media story, press release coverage, or partnership campaign. 1. Company Information – This may be a given, but you'd be surprised how many leave it out. Who are you and your team. What is your company/blog and where can you be found online and off? Make sure your contact info. is on EVERY page of your media kit and that any links that can be are clickable if a PDF document or webpage. Whatever you can do to make it as easy as possible for them to contact you is what you should do. Including your business telephone number also makes you look more professional. Many people feel you're more approachable when you share it, even though they may never use it. 2. Design – This is not a resumé and should not look boring. It's you chance to show off your uniqueness and accomplishments to your potential business partner (because that's what sponsors are). A bit like dating – they need to know if your brand and personality is going to compliment theirs. 3. Demographics – This is usually where bloggers skimp on the info. Tell them WHO you reach, as much as you know about your audience, their daily life and especially their buying habits. Look in Google Analytics under Demographics/in-market segment to find out what your readers are regularly purchasing online. 4. Story – What's your story? Why do you do what you do and how do you do it differently than everyone else? Have you won awards? Are you part of any Associations? Why would the sponsor work with you for advertising as opposed to the other hundreds of people who pitch them? Who have you worked with in the past? 5. Originality – Include links to your best, most original sponsored work, or include a sample or video with your media kit submission. Make it easy for them to see how your voice will make them, their campaign, stand out. Putting together a solid media kit can take a little time. However, once you have a presentable package, keeping it updated is relatively simple. Then you can start sending it out to folks and making great impressions and connections with brands and agencies. 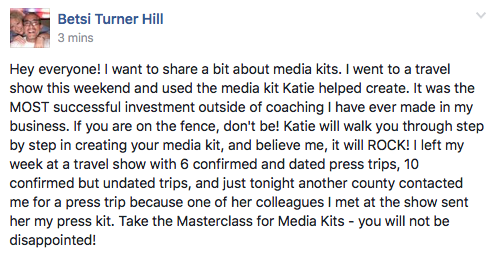 Or register for our Media Kit Masterclass where we'll walk you through the steps of creating your own Powerful and Professional Media Kit in a one-day virtual workshop. Never worked with sponsors? We'll show you how to put together a Media Kit that will get their attention even without a track record. Register Here. Don't want to learn how? 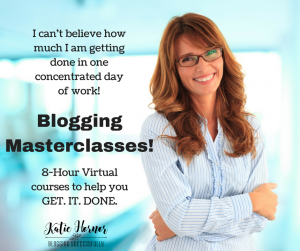 Contact us (katie at bloggingsuccessfully dot com) and ask about our done for you media kit services.